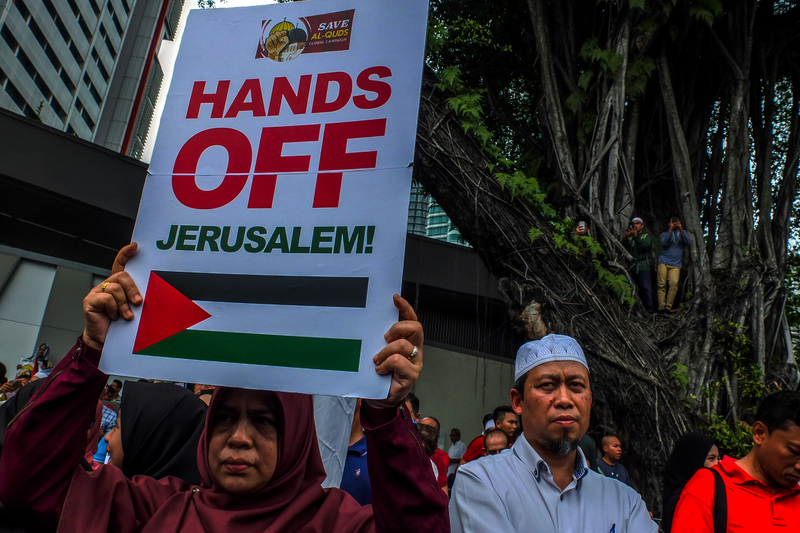 President Trump’s decision to acknowledge Jerusalem as Israel’s capital sparked anger in Kuala Lumpur. 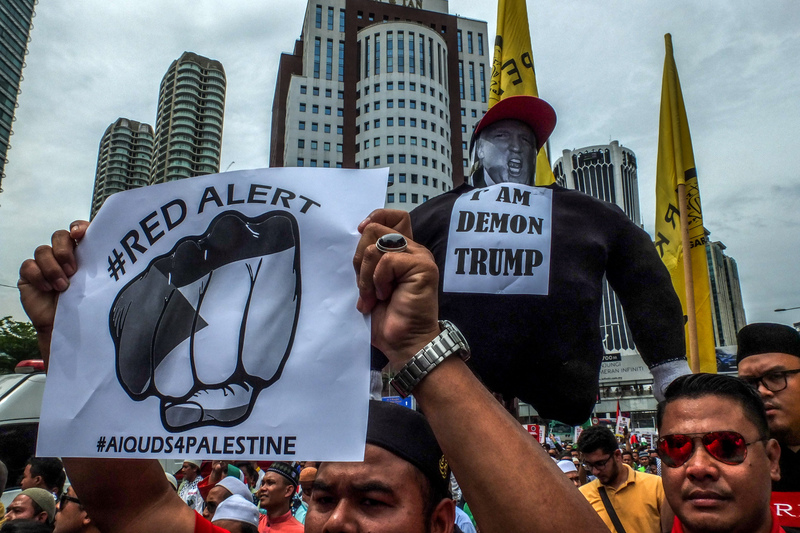 Over a thousand Malaysian Muslims marched to the U.S. Embassy in Kuala Lumpur on December 8 to protest against U.S. President Donald Trump’s announcement that the United States would recognize Jerusalem as the capital of Israel. According to the Ministry of Foreign Affairs, Malaysia is extremely concerned about the decision. 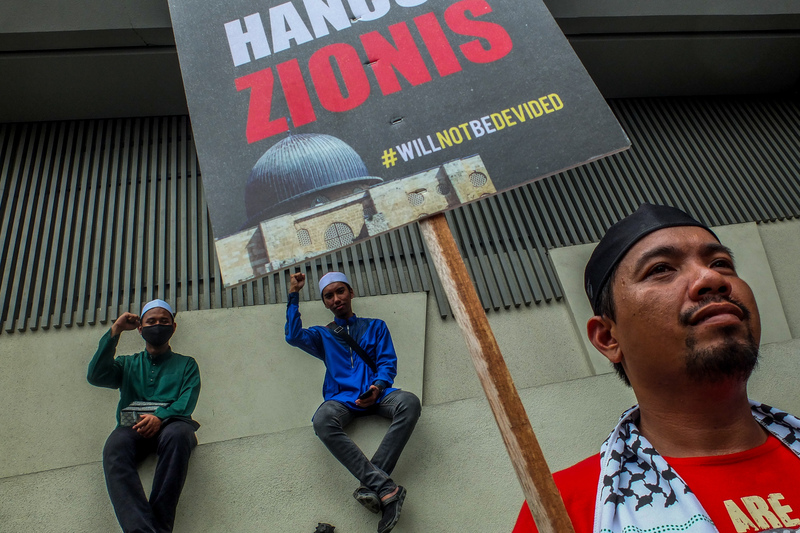 Malaysia has reaffirmed that the the issue of Jerusalem is at the core of the Palestinian cause and requests that all member states of the United Nations not recognize any illegitimate changes to the pre-1967 borders. To the protesters, recognition of Jerusalem as the capital of Israel ignores the reality on the ground, endorses Israel’s repressive policies, violates Palestinian human right and contravenes international law. 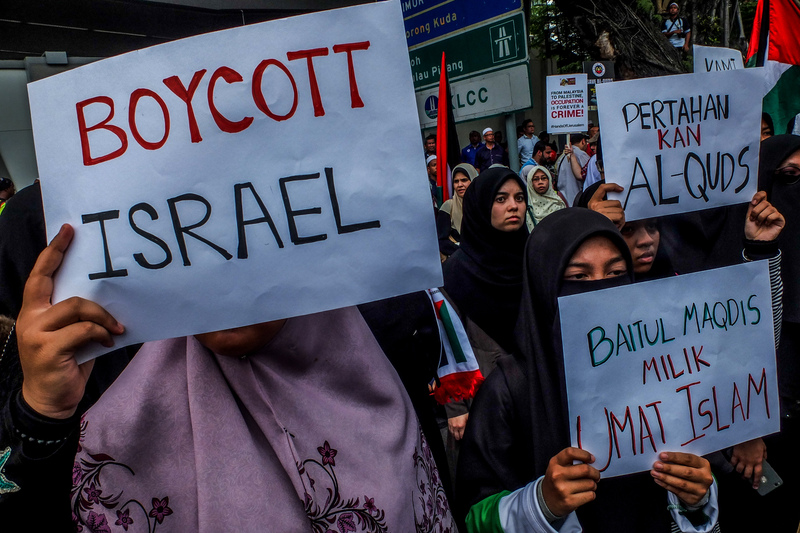 For these reasons, Malaysia joined the chorus of states urging the United States to reconsider its decision. Samsul Said is a Malaysian freelance photojournalist. 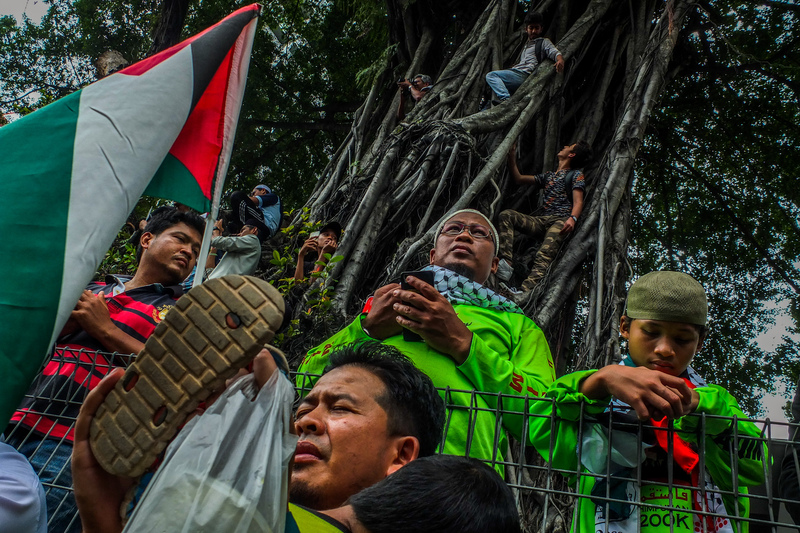 Malaysian Mulsims march to the U.S. embassy during a protest against recognition of Jerusalem as Israel's capital. 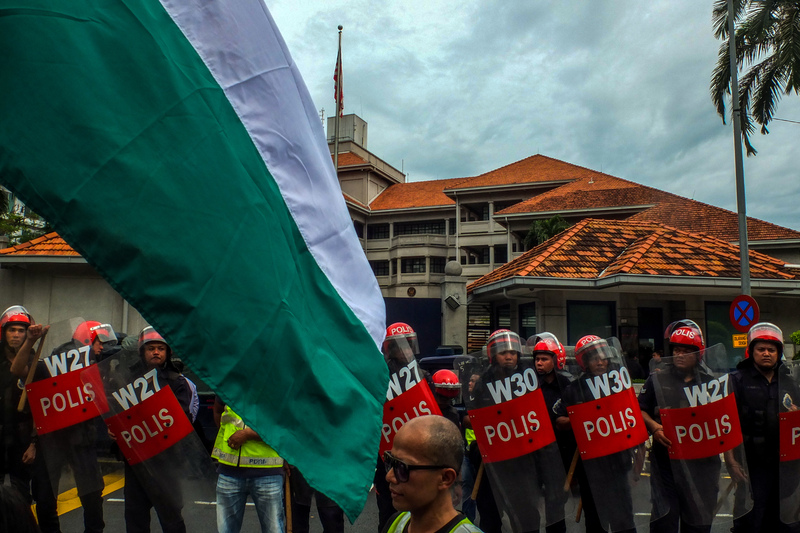 All photos were taken outside the US embassy in Kuala Lumpur on December 8, 2017. Protesters hold signs denouncing U.S. President Donald Trump's recognition of Jerusalem as Israel's capital. 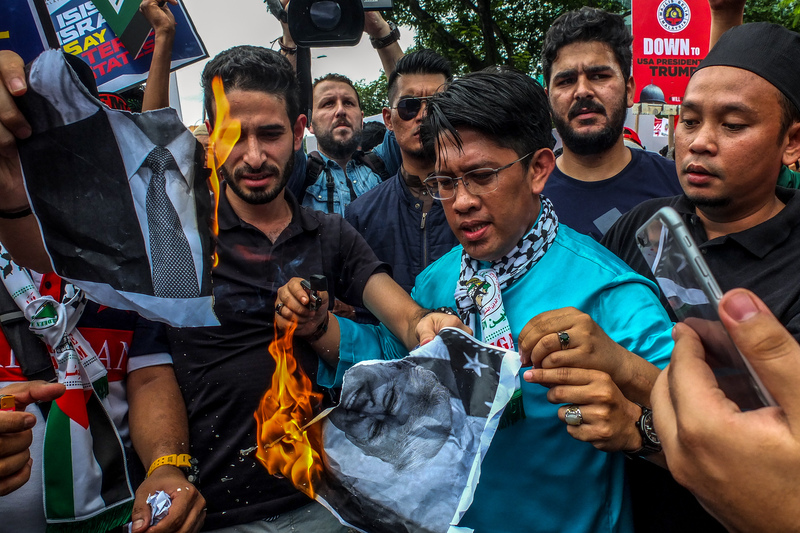 Protesters burn Donald Trump's photo. 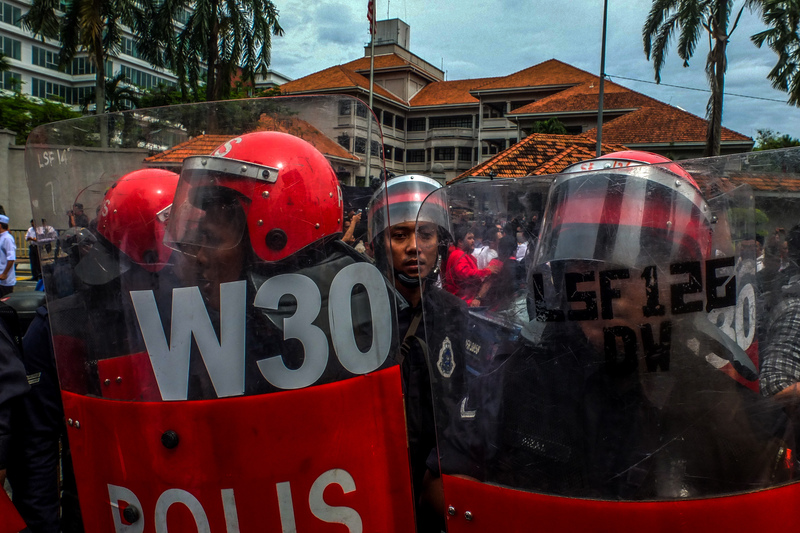 Malaysian riot police stand guard front of the U.S. embassy during the protest. A woman holds a sign during the protest. Women hold signs during the protest. 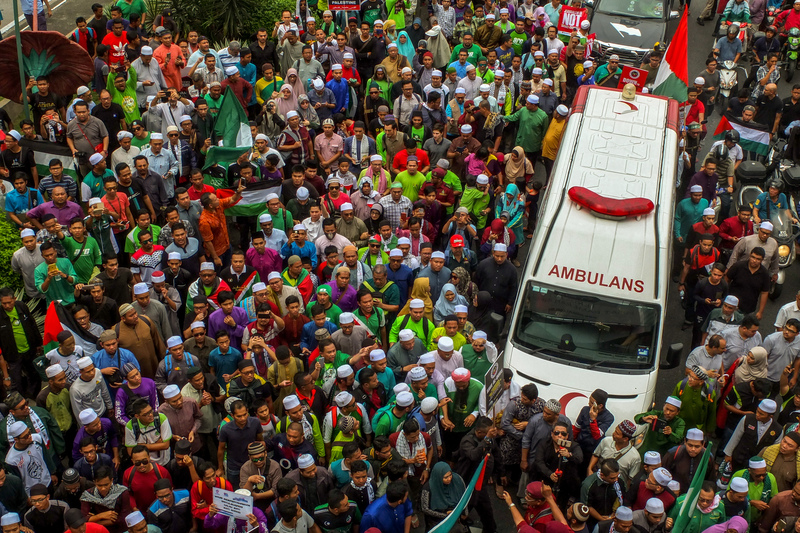 Malaysians listen to a speech from their leader during the protest. 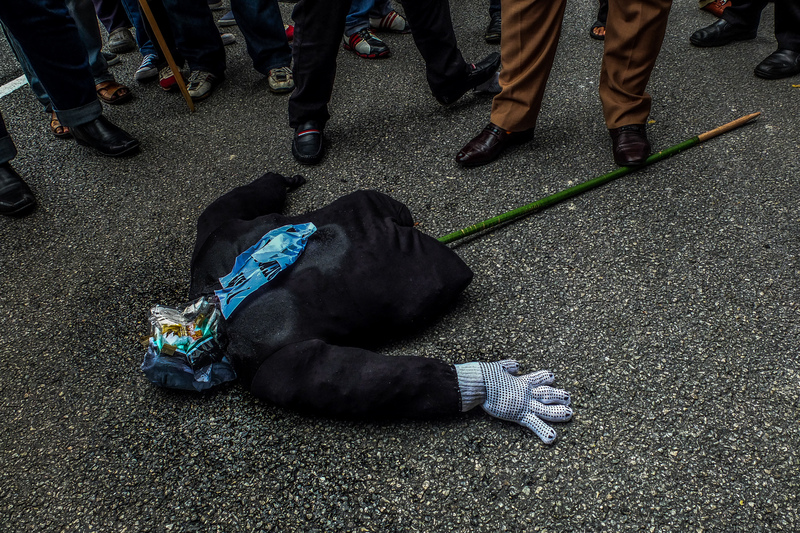 An effigy is seen on the ground before protesters set it ablaze. 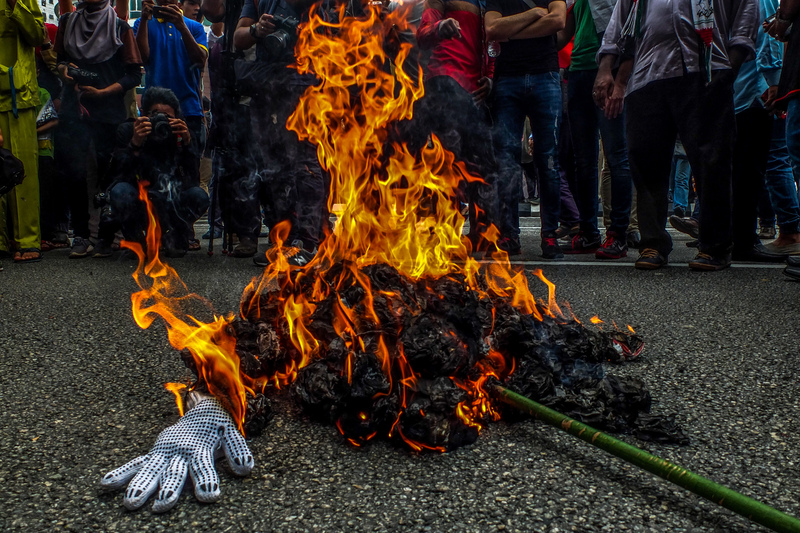 Protesters burn an effigy outside the US embassy in Kuala Lumpur.